Having seen wildlife using this garden, we can recommend perennials, shrubs and small trees. 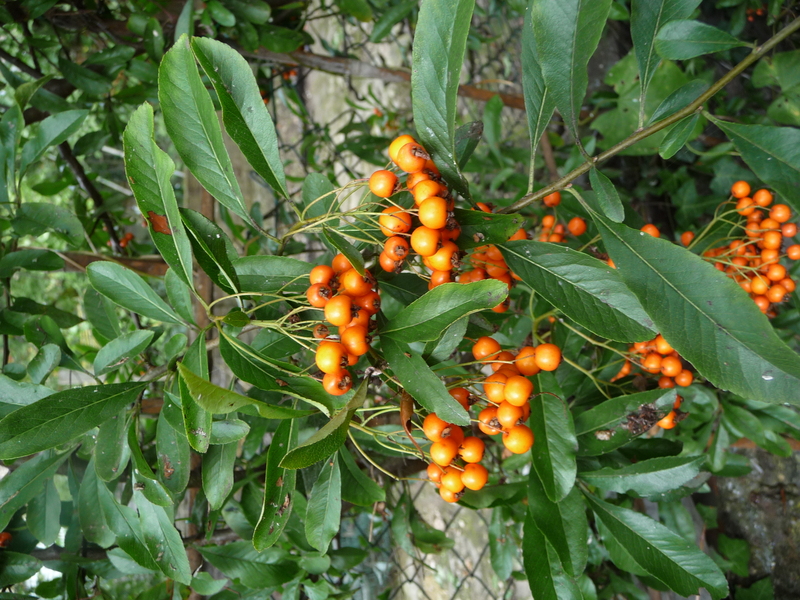 You need do little once they are planted – the flowers come, the fruit (berries, plums) follows, and wildlife finds it. 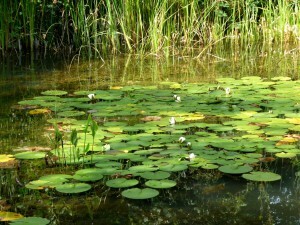 If you have space for water, even the smallest pond will draw in many creatures. And, wherever possible, you can plant native wildflowers. 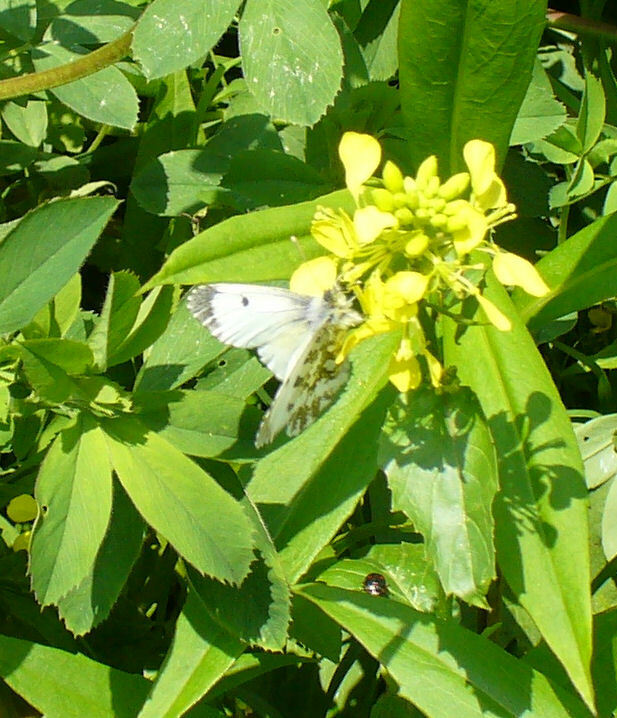 Pollinators – bees, butterflies, moths, hoverflies – are in decline all over the country. North London is no exception. 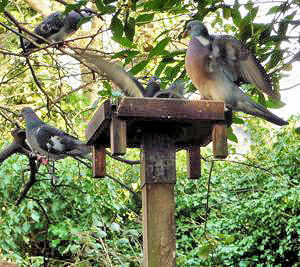 Since 2008 when I took over the garden, numbers of flying visitors have been in decline. Several bumblebees appearing together was an event on some summer days, & the buzz is greatly missed. After a difficult spring, pollinator numbers are up here (2016) – but without the buzz of years gone by. 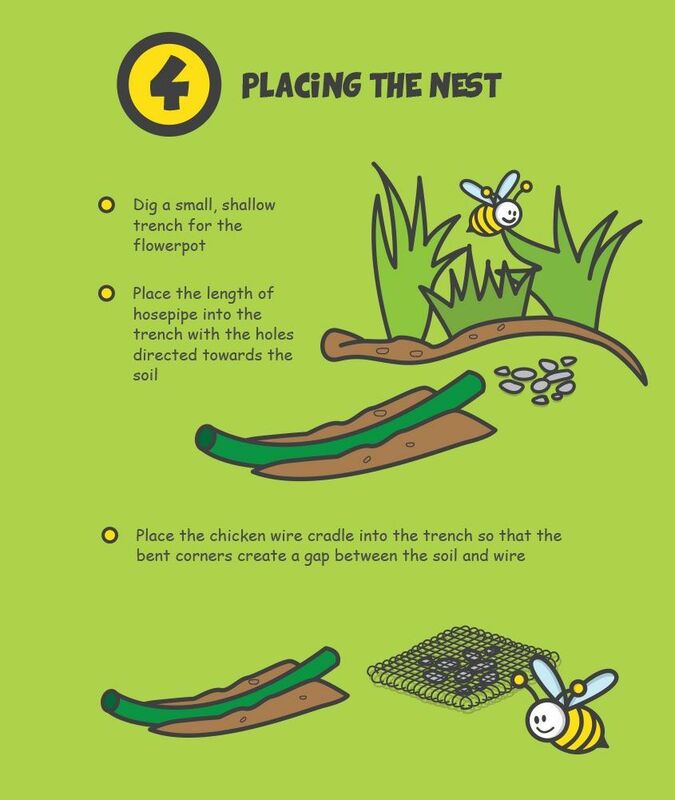 Before London 2012’s Olympic games, the public were encouraged by Sarah Raven to help stop the decline in pollinators & get Britain buzzing again by planting a River of Wildflowers. This gardener and writer is known for her work at Sissinghurst & appearances on BBC’s Gardener’s World. On BBC2’s website, clips from her series Bees Butterflies and Blooms showed meadows being sown for the new Olympic Park. 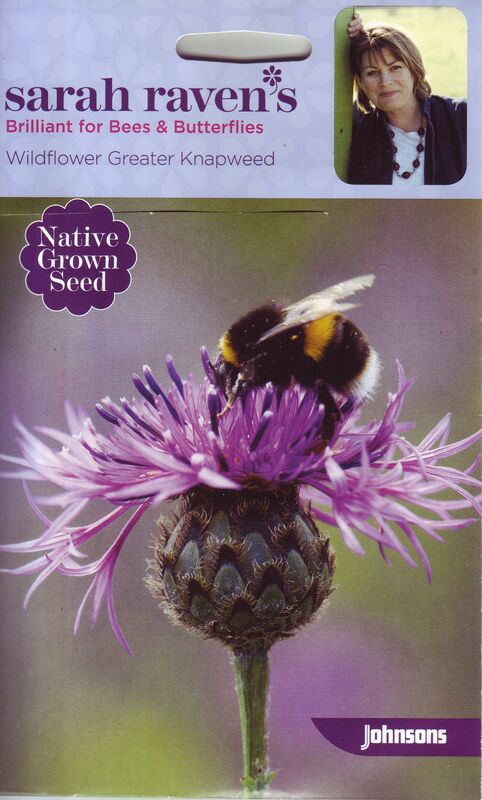 Three different meadow wildflower mixes were trialled & the best chosen, for longest flowering and bringing in the pollinators, before the games began. Sarah’s campaign to increase pollinator numbers began at her cutting garden at Perch Farm. She asked a neighbouring farmer whether he could leave a strip of his land for wildflowers, & he agreed. Pollinators can now fly from Sarah’s wildflowers into the new farm strip as though swimming up a river of wildflowers. Visit Sarah’s website for inspiration. You can order books, plants & seeds from her at Perch Farm, sign up for a course or arrange to receive her newsletter. Foodplants and nectar-rich flowers for pollinators grow in nearby Gillespie Park, the nature reserve down the road. Each day in summer, conservation rangers and volunteers go through the park with a butterfly identification chart, counting butterflies. (the butterfly transect). 24 species of butterfly have been identified – flying, drinking nectar, mating, laying their eggs & emerging from their chrysalises in this much-valued oasis. We live only five minutes’ walk away, with other terraced houses and gardens between the park & our garden. Years spent trying to draw bees & butterflies from the park to our garden have been only partly successful. 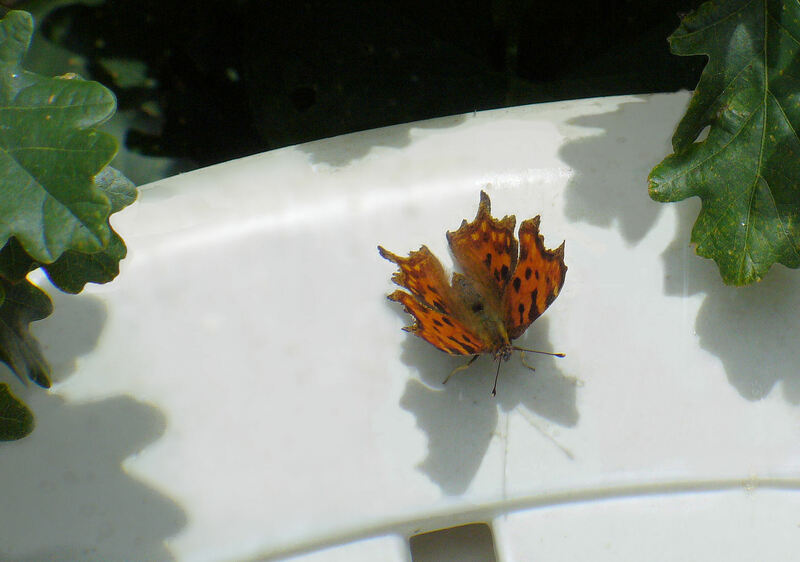 We have Holly Blue butterflies here, thanks to our Ivy; we get the odd Comma and Red Admiral, probably to visit our nettle corner (their food plant). 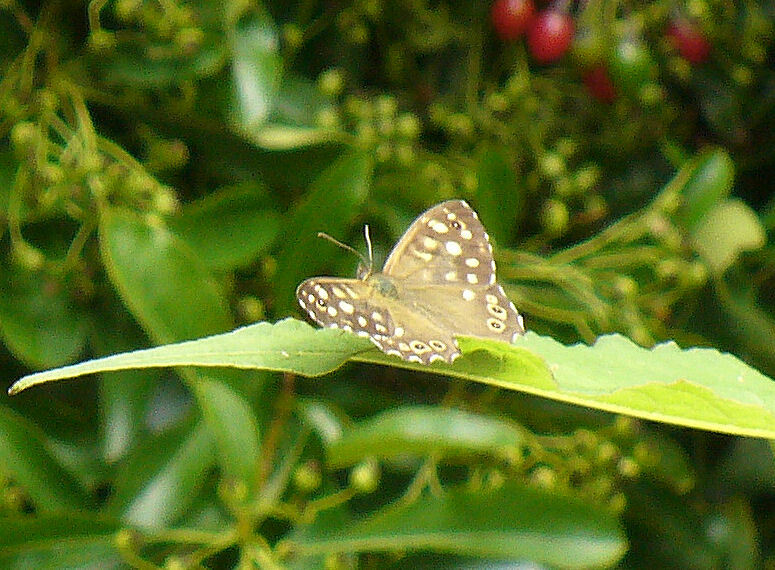 But we’ve seldom had more than two butterflies in the garden at a time. Ideally, they would have been enticed into gardens next to the park by foodplants and nectar-rich flowers & fluttered along, garden by garden, to ours. But it hasn’t happened. In our bit of London, people do not always know their neighbours. They may be working all hours, commuting, going to school or being taken to school. Neighbours may live in adjoining properties but never cross paths – some leave home early, do late shifts or work from home. Some are retired. They may walk, cycle, drive or catch a bus or tube, leaving home & returning at different times of day. Dog walkers may recognise each other as they pass, on the street or in Gillespie park. Those going to yoga, tai chi or a session at the gym will recognise familiar faces. Parents of children in school or nursery see more of each other. We met with neighbours on four adjoining streets to fight the developer who flattened our small woodland. Dozens of properties, many people. At our first meeting, two sisters who’d lived on Elwood Street for some years said they didn’t recognise anyone, save those living on either side of them. If we are to link our flats, windowboxes, balconies & gardens to BECOME this river of wildflowers, we need to do it WITH our neighbours, however mismatched our daily lives may be. If we have wildlife-friendly plants on our patch, even though we must be away from it for most of the day, it can be making the most of the season and wildlife can benefit from it. You can set aside part of your garden & make it more friendly to wildlife. It could be by the back fence, farthest from your house. 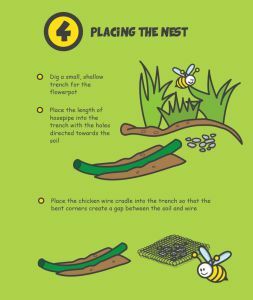 You could screen it with trellis – by leaving unkempt corners, stuffing fallen leaves under shrubs and hedges, leaving seedheads on through the winter or making a log pile or minibeast mansion, you will be giving birds, frogs & other wildlife reasons to visit and explore. 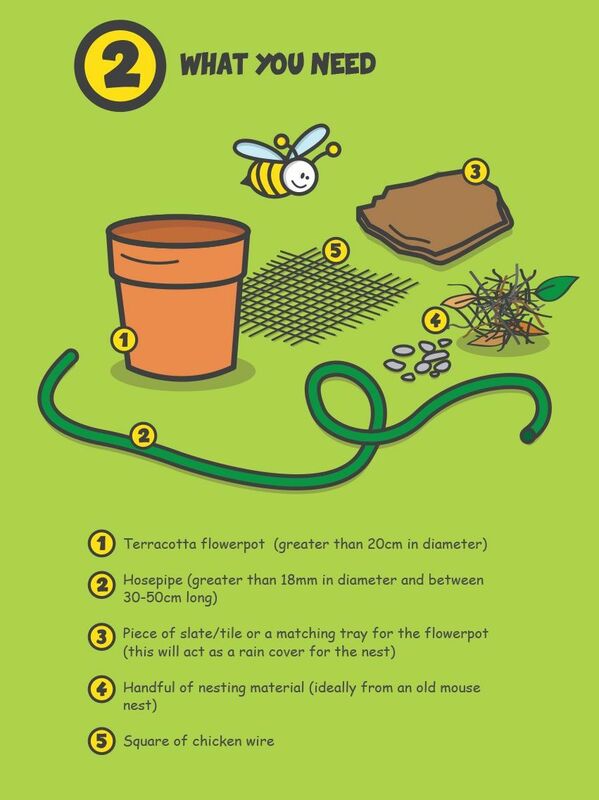 At the end of the growing season, take the advice of the Wildlife Trusts on gardening for wildlife: as far as possible, LEAVE IT ALONE. This doesn’t mean failing to protect tender plants at risk from winter cold, but, where possible, leaving seedheads on for the birds & allowing leaf litter to remain on the ground for any creatures who might need to take refuge. April 12th 2014: a handsome, healthy-looking frog sits under one of the new planters on the earthwork. It would have had food, thanks to small creatures clinging to the leaf litter, to help it get through last winter. This spells SUCCESS for our wildlife garden. It is vital to preserve any insect EGGS that have been laid on the greenery, as we want to increase the numbers of Moths, Butterflies, and other flying creatures. On Bonfire night, the eggs of many insects will be burnt by unsuspecting humans because they were laid on vegetation collected for bonfires. The tidying up, burning or taking away of the insect protein that would keep them alive has played a part in the decline of many of our bird species. We gardeners, even those of us who have only a windowbox, can add to life rather than make it disappear. 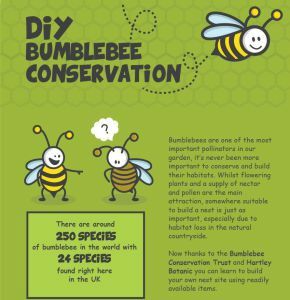 By choosing to plant flowers which draw in the insects, and finding ways to encourage caterpillars, we can help to make a difference. If you want a designer garden, you can still welcome wildlife to it. Perhaps a small area, possibly behind a screen, could be set aside. There may come a time when, like wildlife gardener Marc Carlton in his first garden in South London, you find more and more space in your garden for wildlife. “A pest to you can be somebody’s dinner’. 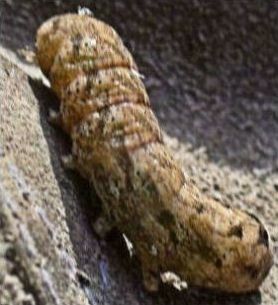 You can begin to think of caterpillars primarily as future Butterflies & Moths, rather than as pests. This is easier said than done. It involves persuading yourself to let go of the urge to make everything look perfect. If you mix plants & flowers not prone to ‘pests’ or disease, such as Hardy Geraniums, with an architectural plant or two, it becomes easier to accept seeing holes in other plants’ leaves (those were somebody’s dinner) or rolled leaf edges where a creature is morphing into its next incarnation. In early March 2014, Vine Weevil grubs were found in our Heuchera’s pot; they had eaten away most of its roots. 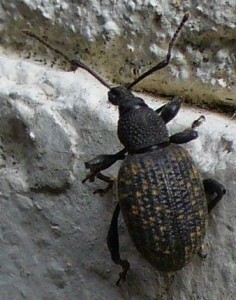 The internet listed two available chemical treatments for Vine Weevil, both containing Neonicotinoids. This came in spite of a two-year EU ban on these pesticides, following research into what’s been killing our bees by Prof Dave Goulson of the Bumblebee Conservation Trust. 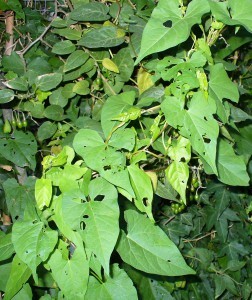 The photo, far right, is of a Vine Weevil on the side of our house. We thought that one of our birds would have quickly made a meal of it. Even had that been the case, it might already have laid its eggs in one of our pots. 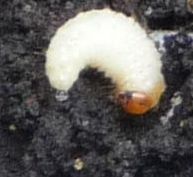 The enlarged photo of the Vine Weevil grub, right, was taken before it was fed to the birds. Unlike many insects in our Creature Feature, Vine Weevils should not be ignored & left for the birds to eat. They lay their tiny eggs on bare soil. 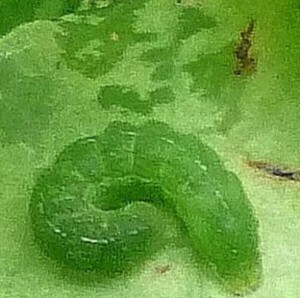 By springtime these will have hatched & the grubs eaten through the roots of the plant. 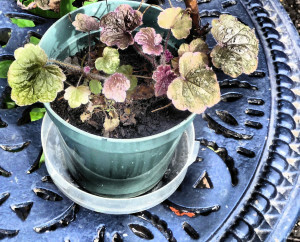 Here is the recovering Heuchera. It was taken from the weevil soil while it still had a few rootlets, washed, planted in fresh soil & kept in the kitchen window. After several days it showed signs of life. The weevil soil was put in the gardening recycle bag for the council recycle pickup. On Gardeners’ Question Time, 28 March 2015, Bob Flowerdew suggested plunging any Vine Weevil-infected pot of soil into a bucket of water & leaving it there for a month. Definitely kinder to the ecosystem than using a product with Neonicotinoids. When RF was head gardener here, he tidied away fallen leaves and left much bare earth. This was an open invitation – to the cats, to be used as their preferred place to spray or poo, & the squirrels, who so enjoy digging holes. I now try to keep bare earth to a minimum. If you garden with a plan, & bare earth in winter is part of it, any seedlings growing in your bare earth can be easily identified & pulled out in spring. In the Wildlife Garden, we WANT seedlings. We want cover for the frogs. And as little bare earth as possible in which cats or squirrels can dig holes, spray, poo, or lie in wait stalking the birds. You may have no garden, or, if you have one, your situation may not suit a pond. Lack of usable space in a tiny garden, small children who might come to grief in water or older ones who require a play area – all might weigh against your putting in a pond. But if you have a garden with space in it for a half barrel, you can make a safe miniature pond. 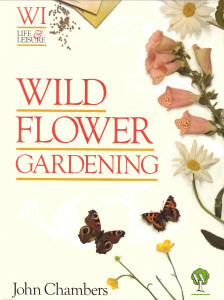 You will find that wildlife discovers its existence somehow, makes its way to your garden & uses it. 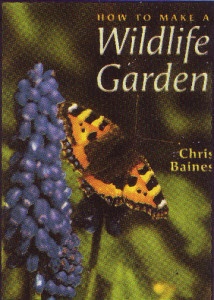 In his book How to Make a Wildlife Garden, Chris Baines has a chapter on making a pond, with details of which lifeforms will appear to colonise the new habitat. Monty Don has been planting up & sorting out a large pond in his garden, Longmeadow, over the last few series of BBC Gardeners World. After all his hard work, he sat by the side of the pond with faithful Nigel, enjoying the deep, throaty frog chorus that surrounded them. Those of us who have no pond or frog chorus could bask in the moment. Fabulous, it was. 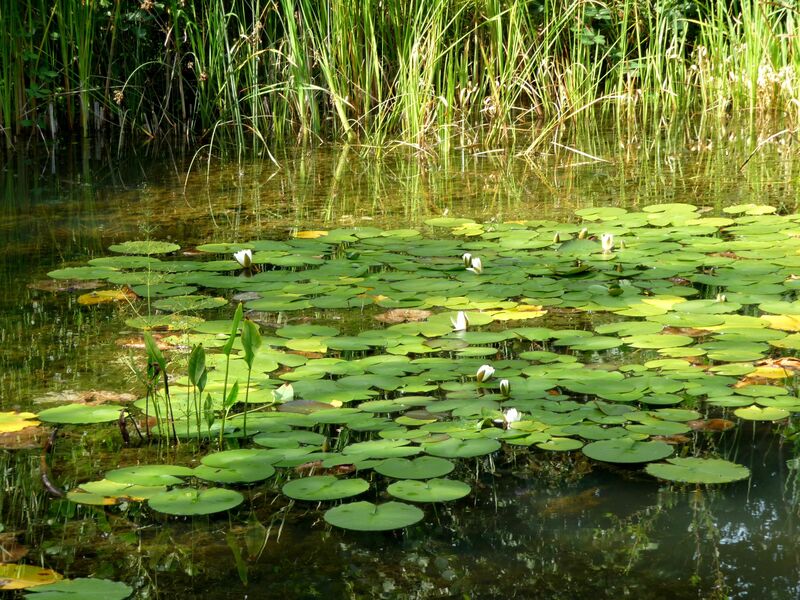 (Devon Wildlife Trust’s website has do’s and don’ts for making a pond, and the don’ts include ornamental fish! Visit the big pond in Gillespie Park (see the Worth a Visit page) if you live nearby – a pure pleasure on a sunny day – & look into the water for swimming Newts or Toads. There were no Frog tadpoles in the pond last year, but Toads and Newts laid eggs & a new generation of their young ones was born. Although we have no pond in our small North London garden, frogs have apparently lived here for decades. They are so very silent, hidden under cover of vegetation, that being able to capture one on camera, moving, is a triumph. There were times when the sudden appearance of a frog was bittersweet, as the camera was upstairs, or waiting for a battery recharge. The quality of our shaky video, a frog surprised by Sergei’s pot being turned, is less important than SEEING THE FROG & saving the moment. Other videos here may be steadier and show more colour and movement, but for us this is a prize video. 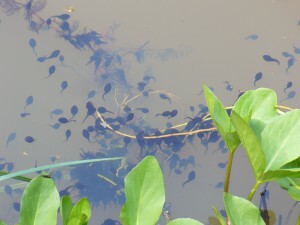 (For more about our Frogs, go to the Living with North London Wildlife page and click on Frogs). A few seasons ago, on BBC Gardeners’ World, Toby Buckland said it had been a harsh winter : the seeds he’d planted had been eaten by hungry mice when they raised their tendrils above ground. There was a small hole in the soil where each seedling had made a start, & a depression round it of a mouse’s nose. We found that we, too, have mice in the garden. You need not have it along a boundary, between yourself & your neighbours. 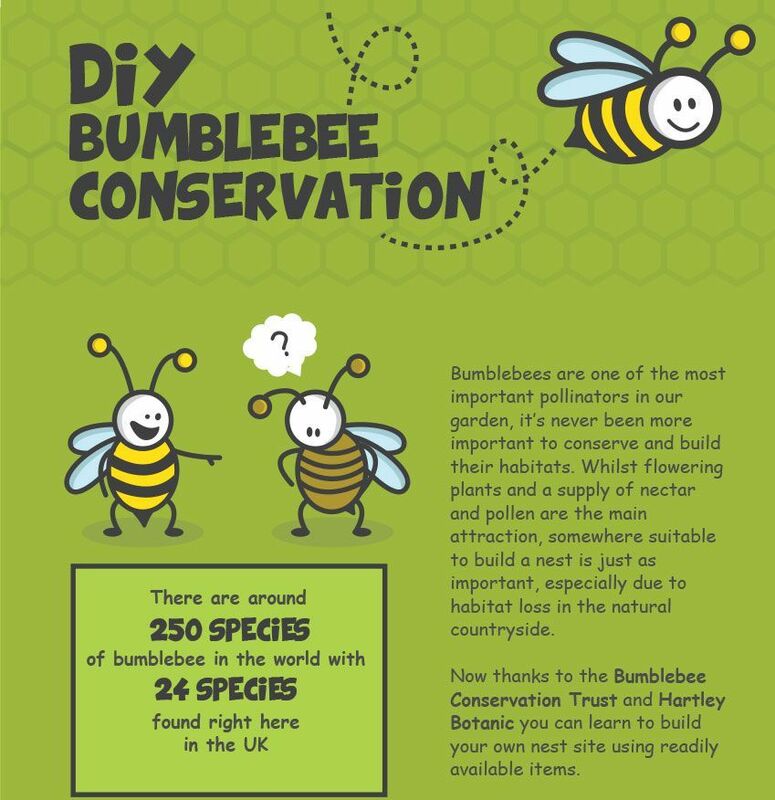 You can grow one to hide or conceal something – bins, or a compost heap. 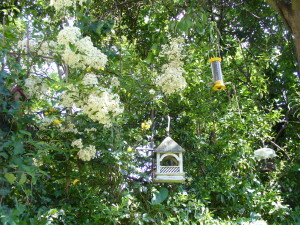 It could divide your garden visually or stand alone, like a budding, flowering, fruiting room divider for the garden. 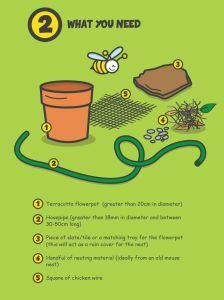 You will be helping to get Britain buzzing again, offering pollinators a good reason to buzz into your garden. 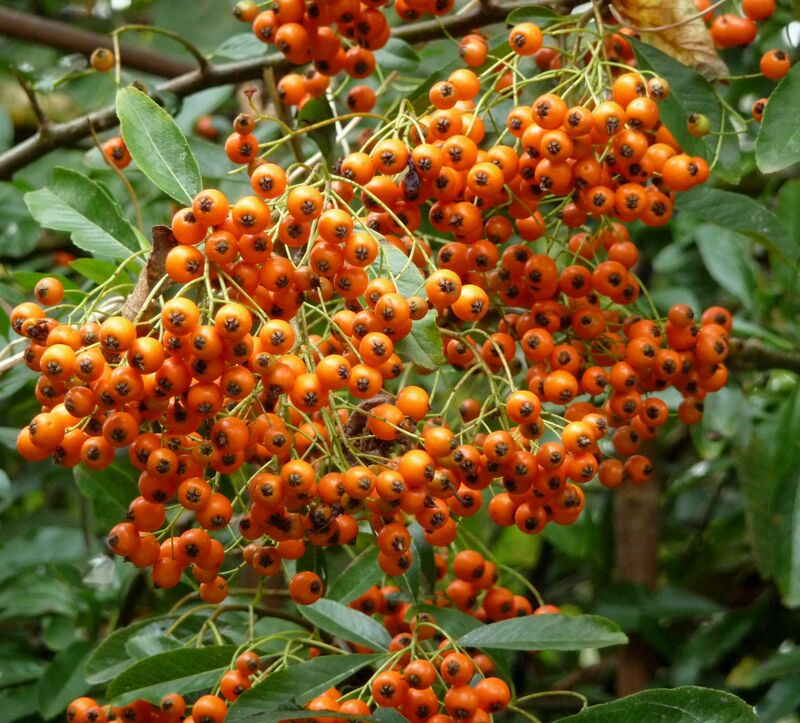 And the birds will welcome the berries, cherries, plums and haws that follow the flowers. 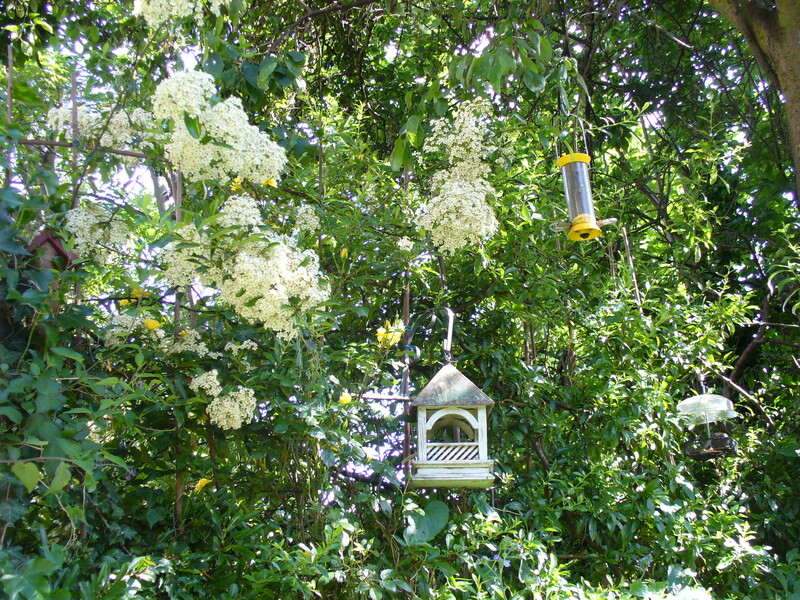 Bird Cherry – (Prunus padus) Spikes of WHITE flowers in May become shiny BLACK CHERRIES. Aromatic bark. Blackthorn – (Prunus spinosa) WHITE flowers in late March/early April become SLOES, bitter BLUE-BLACK plums. Any soil but wet or acid. Tolerates shade. 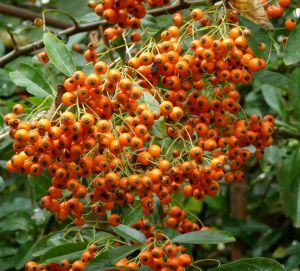 Firethorn – (Pyracantha) Not a native, but bearing wildlife friendly berries of ORANGE, RED or YELLOW. 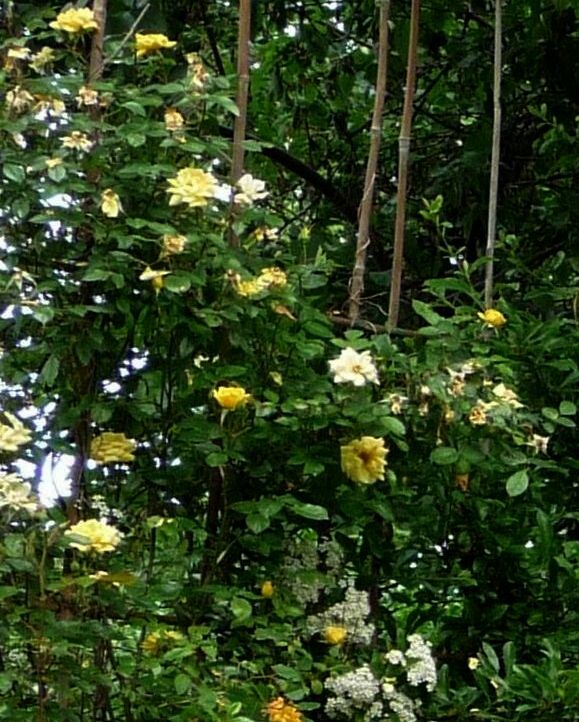 If part of your garden had a bit of bank, where a Queen bumblebee could set up a nest and any flooding might not reach, it could be planted with this thorny climber. 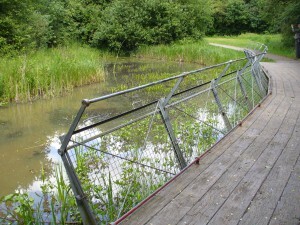 A deterrent to intruders and of great value to wildlife. Hawthorn – (Crataegus Monogyna) or Crataegus laevigata (The Midland Hawthorn) WHITE flowers turning to PINK in late MAY/early JUNE, are followed by HAWS, which are deep RED to PURPLE by September. Grows in all soils (except acid). Crataegus laevigata was known as ‘bread-and-cheese’ because its leaves were traditionally added to sandwiches in country districts, and ‘Quickset’ because it was (used as a ‘quick’ or living hedge.) Flowers & fruits best in an open position. Holly – (Ilex aquifolium) – Small WHITE fragrant flowers in May are followed, as early as June, by GREEN berries that turn to RED by September. The familiar leaves, traditional on Christmas cards, are evergreen, prickly and sharp-edged. They can be sprinkled round valued plants to deter slugs and snails, or on bare earth to stop it becoming a cats’ toilet. Wild Cherry – (Prunus avium) (Gean) Cup-shaped WHITE flowers in April, followed by RED cherries, loved by birds. Bronze leaves turn to green; shiny reddish-brown bark peels horizontally. As this website is a joint effort, some very good videos are included with shakier ones. Even some of the shaky ones capture the movement and feel of summer in the garden in a way that still photos do not. If you haven’t been taking videos, it could be worth your having a go. You may begin with wobbly images and find yourself wanting to improve your technique. Seeing your favourite spring and summer flowers at their best, in a video in the dead of winter, can be uplifting & remind you that summer will come again. Taking videos of your garden is the next best thing to taking someone through it. You can share some of those high moments of summer, when flowers are at their best and birds and bees making the most of it. Share it all with friends, or put it on the web. Or just enjoy looking at it yourself. 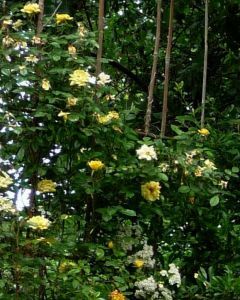 After RF left, I carried on taking photos of the garden, some with a mobile phone camera. This led to trying the phone’s video setting. We were inspired by seeing telly news channels using vids taken by the public on their phonecams – many quite shaky ones. A moving image can bring back the moment. A few of us have taken the videos on this website, and we are all getting better at it. Some vids were taken on a ‘reconditioned’ digital Toshiba from Ebay. It seized up a number of times, and has now been passed over in favour of a Canon with high resolution and a smooth zoom. Its demands for batteries are exasperating. At moments in the garden that ought to have been saved to video, a demand of ‘replace battery’ will flash. Solar powered rechargeable batteries! Please! There are fantastic websites on the internet, with Macro photography of tiny insects & the magnified structures of the insides of flowers. Something to aspire to. You get a wee bit of audio with your video. It came as a surprise to hear, when playing back our first garden videos, the sound of airplanes. We are not under a flightpath & the presence of planes is not obvious while gardening. It must depend on which way the wind blows. The distant sound of trains passing Gillespie Park & Emirates Stadium also serves as the occasional soundscape to our garden videos. 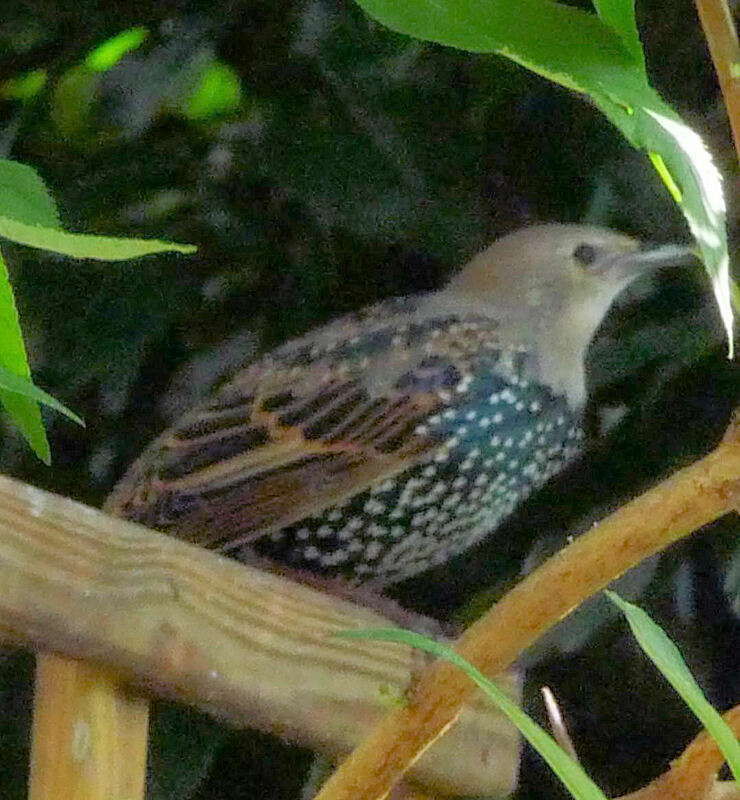 Living in the centre of London does not subdue our garden birds. At times of complete silence in the garden, birdsong seems to hang in the air. Many of the singers are familiar, but there are unknown warblers as well. They provide the soundtrack to many of our videos. Wood Pigeon vs Street Pigeon at the high table. The tiny Wren makes a clicking, ticking sound; it has a song surprisingly loud for so small a bird. The Crow’s raucous cawing blasts can dominate a video. Robin & Blackbird sing a melodic song. Starlings chatter, buzz & click. One has a mobile phone ring in its repertoire – another makes the sound of a baby’s dummy being sucked. There is belligerent cooing from Woodpigeons on our high table at the morning foodfest. They draw themselves up & snap a wing at each other, pecking the air in front of them. Cooing, flapping & snapping noises for your video soundtrack. The local Highbury squirrels are a part of the web of life in the back gardens – whether seen on your home videos or out of sight. They make many sounds, scolding & chittering as they thrash their tails about. A burst of irritable coughing barks signals rivalry & aggro in the squirrel world. 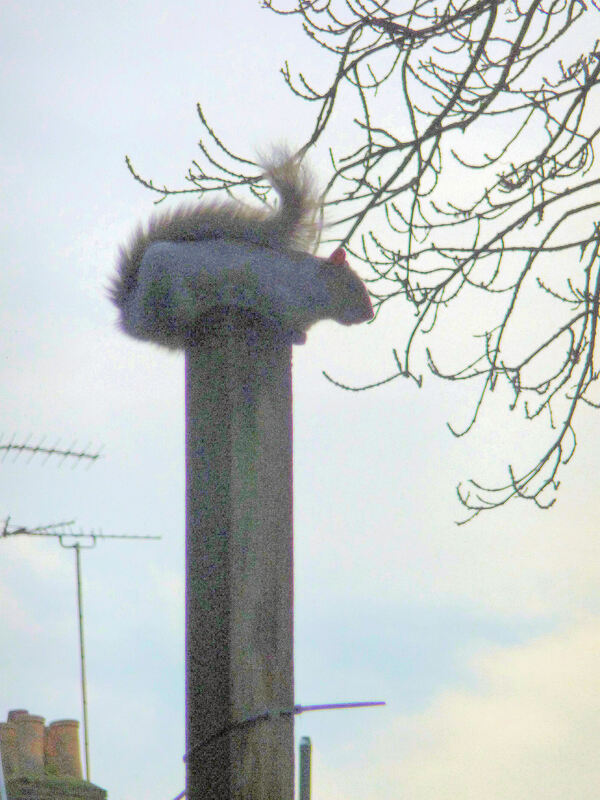 Go to the drop-down menu under Garden for Living with North London Wildlife/Squirrels to see our best vids. Our own music in the garden has often been Greek, played digitally through speakers. We have had bands practicing in the house with the back door open. And our neighbours play their own music. At any time a video might have total stillness behind it, or quite a different backing track than you might have anticipated. One of our vids has a lively mix of birdsong, builders’ blather and baby’s natterings, as birds & insects whiz about on a sunny day. Played back, you see that the vidcam has caught a moment in time. On Arsenal Matchdays, singing & chanting fill the air, moving down the street in waves of sound just discernable from the garden. Sirens on nearby roads are muffled. Police horses’ hooves on the tarmac can only be heard from inside the house, not from the garden. Until 2006 we heard testing of the PA system before a Matchday, with Dean Martin and other favourites, from Highbury Stadium over the road. There was a Matchday buzz of fans arriving, & the roar and seismic stamping of feet celebrating any Arsenal goal. All of that changed with the building of the new Emirates stadium, a few streets away. Most of the Matchday buzz moved to the Drayton Park side of the Arsenal underground station. Once the new stadium had been opened & the team relocated there, McAlpines moved in to demolish Highbury. 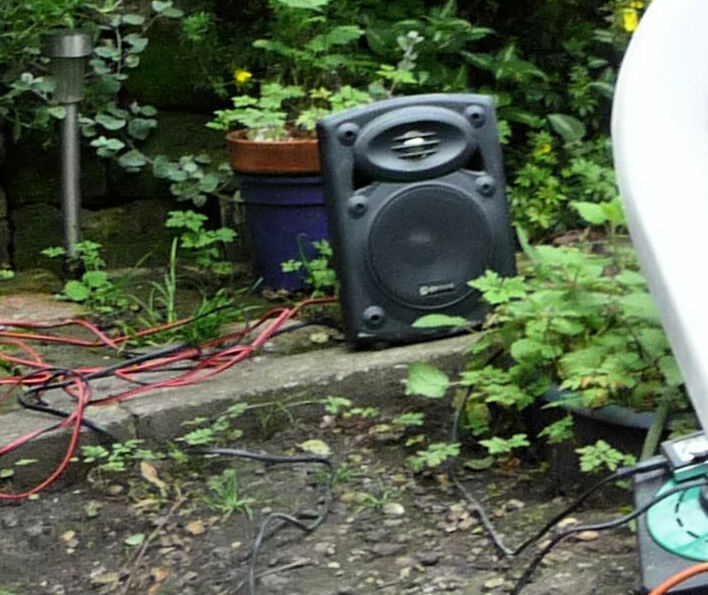 Noise levels rose, lasting for five & a half days each week, for years. The builders who worked on our new neighbours’ house gave us months of noise, some of it (in Polish) now the backing track of a garden video soundtrack or two. One irrepressible bloke burst into song at a moments’ notice (Vangelis’ Conquest of Paradise!) Wherever you live, taking a video of your local wildlife will save more for you than the sounds of your local wildlife.